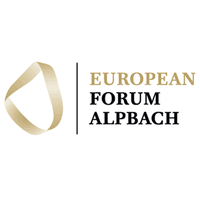 Apply for the European Forum Alpbach Scholarship Programme 2019 and become part of Europe’s “Festival of Ideas”! Every year, 700 students from about 90 nationalities participate as scholarship holders in the European Forum Alpbach. Join smart minds from around the world in a charming Alpine village, immersing yourself in an environment bursting with novel ideas, new ways of thinking and opportunities for making great contacts. With the Alpbach scholarship programme, young people under 30 can attend this leading interdisciplinary conference and a variety of academic seminars. Note that due to the high number of applications full scholarships are provided upon availability and upon needs assessment by the selection committee. Everything that needs to be included in your application is listed here. Please read these requirements carefully in order to make sure to submit a complete application. Incomplete applications or applications that reach us via email will not be accepted. Late submission of missing documents will also not be considered.